On January 28, Rep. Fred Upton (R-MI), chairman of the U.S. House Committee on Energy and Commerce, sent a letter requesting that U.S. Secretary of Transportation Anthony Foxx provide an update on the status of the Department of Transportation’s (DOT) rulemaking to implement Section 23 of the Pipeline Safety, Regulatory Certainty, and Job Creation Act of 2011. The Act requires DOT to issue regulations for testing of previously untested natural gas transmission lines located in high consequence areas and operating at a pressure greater than 30% of specified minimum yield strength. The Act set a deadline of July 3, 2013, by which DOT was to issue rules. PHMSA Issues Advisory Bulletin Regarding Oil Spill Response Plans. 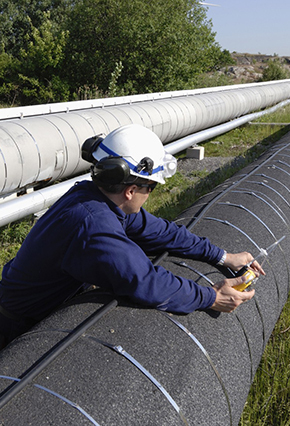 On January 28, the Pipeline and Hazardous Materials Safety Administration (PHMSA) published an Advisory Bulletin  reminding operators of onshore oil pipelines of numerous requirements related to the adequacy and timeliness of spill response resources. PHMSA also encouraged operators to submit electronic copies of their response plans, explained common errors that cause submitted plans to be rejected, and provided guidance on the availability of materials typically incorporated by reference into response plans. Finally, PHMSA indicated that it will appropriately redact plans found to be acceptable and then publically post them on PHMSA’s Freedom of Information Act Electronic Reading Room. PHMSA Requests Comments Regarding Information Collection Efforts. On January 29, PHMSA issued a Notice and Request for Comments regarding four information collections that expire in the spring and summer of 2014, including: (1) safety-related condition reporting; (2) state gas and liquid pipeline Safety Program Certifications; (3) abandoned underwater pipeline reporting; and (4) periodic underwater inspections. PHMSA also provided notice that it is combining its information collections for abandoned underwater pipelines and periodic underwater inspections. Comments are due March 31, 2014. DOT Announces Funding Opportunities. DOT has opened the application period for three grant funding opportunities. Technical Assistance Grants: applications are due March 17. Applicants are eligible for up to $50,000 each for a funding total of $1.5 million. The grants are available for use by local communities and groups (including non-profit organizations) to fund technical analyses of pipeline safety issues or to promote public engagement in official pipeline safety proceedings. Hazardous Materials Emergency Preparedness (HMEP) Grant Application for Native American Tribes and for States and Territories: applications are due March 31, 2014. These funding awards, between $50,000 and $1.5 million, may be used to improve emergency response planning and effectiveness in responding to hazardous materials accidents and incidents, focusing on transportation-related situations. PHMSA Updates DIMP Enforcement Guidance. On January 29th, PHMSA updated its Gas Distribution Pipeline Integrity Management Enforcement Guidance. Status of PHMSA Rulemakings. The table below reflects the most current publicly available information on the status of PHMSA rulemakings as reported in the Department of Transportation’s (DOT) February 2014 Significant Rulemaking Report. Additional information from the Office of Management and Budget’s (OMB) Office of Information and Regulatory Affairs (OIRA) is here. DOT’s February report contains several updates as indicated in green. United Transportation Advisors recently published a white paper suggesting that the U.S. pipeline industry is delaying investment in new infrastructure projects due to uncertainty and delay associated with future pipeline safety regulations. The report, Assessing America’s Pipeline Infrastructure: Delivering on Energy Opportunities, argues that regulatory certainty, increased coordination between regulators and industry, and the adoption of advanced pipeline safety technology would advance pipeline safety goals and induce increased investment in pipeline projects.